VATICAN CITY — On the second anniversary of his election, Pope Francis today announced the celebration of an extraordinary Holy Year of Mercy, beginning on December 8, the Solemnity of the Immaculate Conception and the 50th anniversary of the closing of Vatican II. Addressing the faithful, the Pope said: “Dear brothers and sisters, I have often thought about how the Church might render more evident her mission to be a witness to mercy. In Christian tradition, a year of Jubilee is a time of joy, remission or universal pardon. The Vatican points out that the opening of this “Jubilee of Mercy” will take place on the 50th anniversary of the closing of the Second Vatican Council in 1965. Pope Francis has entrusted the organization of the Holy Year to the Pontifical Council for the Promotion of the New Evangelization. The last “ordinary Jubilee” year was in 2000, when Pope St. John Paul II held the “Great Jubilee” which was likewise a celebration of the mercy of God and forgiveness of sins. 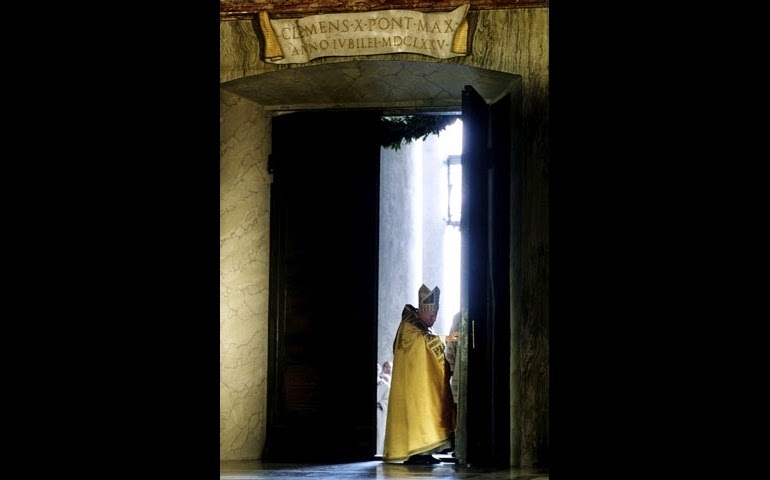 The most recent extraordinary Holy Years were those in 1933, proclaimed by Pius XI to celebrate 1,900 years of Redemption, and in 1983, proclaimed by John Paul II on the occasion of 1,950 years of Redemption. In a statement released on Friday, the Vatican explained that, during the Jubilee Year, the Sunday readings for Ordinary Time will be taken from the Gospel of Luke, who is referred to as “the evangelist of mercy”. St. Luke’s Gospel contains many well-known parables of mercy: the lost sheep, the lost coin, the merciful father. As the Old Testament reveals, in the ancient Hebrew tradition, a Jubilee Year was celebrated every 50 years. It was meant to restore equality among all of the children of Israel, offering new possibilities to families which had lost their property and even their personal freedom. The Vatican explained that a Jubilee Year was also a reminder to the rich that a time would come when their Israelite slaves would once again become their equals and would be able to reclaim their rights. “Justice, according to the Law of Israel, consisted above all in the protection of the weak” (St. John Paul II, Tertio millenio adveniente 13). The Catholic tradition of the Holy Year began with Pope Boniface VIII in 1300 who had envisioned a Jubilee every century. From 1475 onwards — in order to allow each generation to experience at least one Holy Year — the ordinary Jubilee was to be celebrated every 25 years. An extraordinary Jubilee may be announced on the occasion of an event of particular importance. There have been 26 ordinary Holy Year celebrations while the custom of calling extraordinary Jubilees dates back to the 16th century. The Catholic Church has invested the Hebrew Jubilee with a deeper spiritual significance. It consists in a general pardon, an indulgence open to all, and the possibility to renew one’s relationship with God and neighbor. The Holy Year is therefore “always an opportunity to deepen one’s faith and to live with a renewed commitment to Christian witness,” the Vatican said.